What is the Donor Sibling Registry? My son Ryan and I founded the Donor Sibling Registry (DSR) in 2000 to assist individuals conceived as a result of sperm, egg or embryo donation that are seeking to make mutually desired contact with others with whom they share genetic ties. 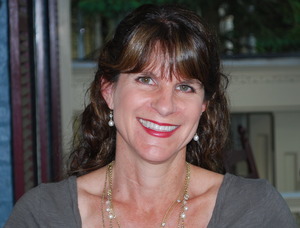 The DSR has provided support and connection to families which have been developed via donor conception, advocated for the rights of the donor-conceived, and educated the general public through research, national media interviews and appearances about the issues, challenges and rights of the donor-conceived community. Why is it important to connect children with their biological half-siblings and egg or sperm donor? The DSR’s core value is honesty, with the conviction that people have the fundamental right to information about their biological origins and identities. The donor conception industry is largely a for-profit enterprise, and after the “product” has been purchased, most doctors, clinics, egg donation agencies and cryobanks do not engage in discussions and activities which acknowledge the humanity and rights of the donor-conceived. It is our mission to bring these concepts to the public arena for discussion. Parents are sometimes not prepared for their children’s curiosity and desire to know more about their genetic background. In order to move out of the secrecy and shame that has for so long shrouded donor conception, the DSR continues to educate parents and the general public on the importance of honoring and supporting their children’s natural drive to know more about their identity. How many connections have been made through your web site? We now have more than 40,500 donors, parents and donor-conceived people on the site, and have helped more than 10,450 people (in 40 countries) match with their half-siblings and/or their donors! Do LGBT parents make up a large part of your membership? Yes! Around one third of Donor Sibling Registry families are LGBT! 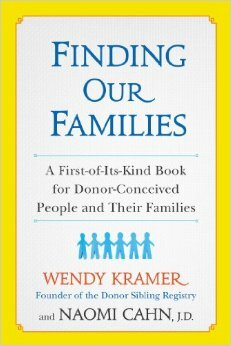 It’s called “Finding Our Families: A First-of-Its-Kind Book for Donor-Conceived People and Their Families” and as the subtitle says, is the first comprehensive book for children born through donor conception and their families. Finding Our Families provides additional support for the growing DSR community and those just embarking on the journey of forming their families through donor insemination. We draw on the extensive research that we’ve conducted, along with the 13 years of advising and listening to people’s stories to address situations families face throughout a donor-conceived child’s development, including curiosity about one’s genetic origins, the search for a biological parent or half-sibling, and how to forge a healthy self-image. The book comes out on December 3 and is available for pre-order now. And there’s a new docuseries TV show, too? Yes! It’s called Generation Cryo and will air on MTV starting on November 25. The show is intense: it deals with a 17 year-old donor-conceived girl with two moms meeting many of her 15 (known) half siblings, and also searching for her donor. Her feelings, those of her half siblings and the parents are raw, emotional, varied, and very enlightening. A must see for all donor families. For more about the DSR, check out their web site atwww.donorsiblingregistry.com.